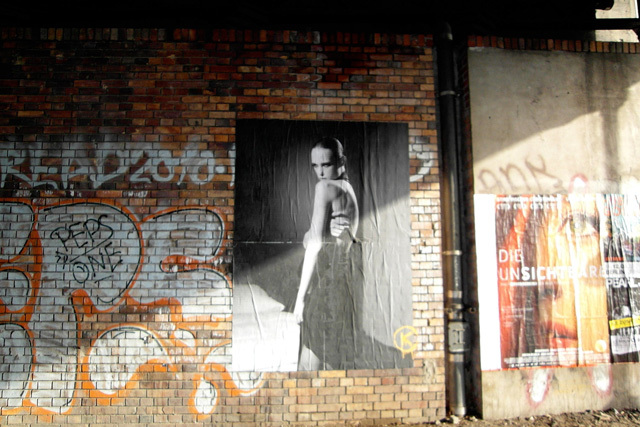 Of course there is the photography of street art. 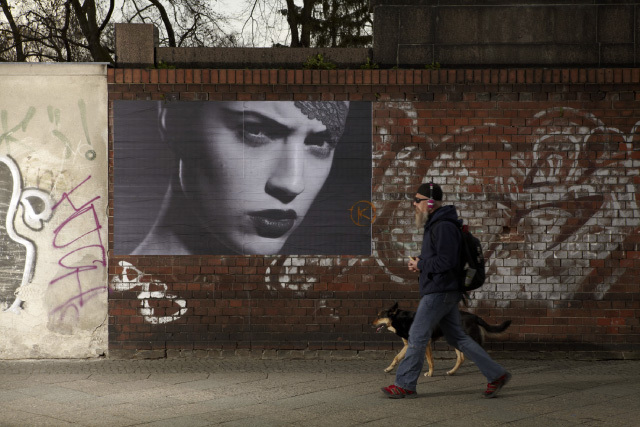 But is there really that much street art that uses photography? 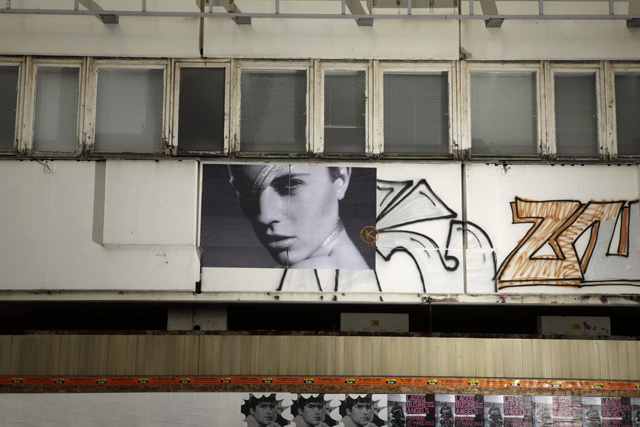 Not that I can think of, most of it is painted, stenciled and drawn. 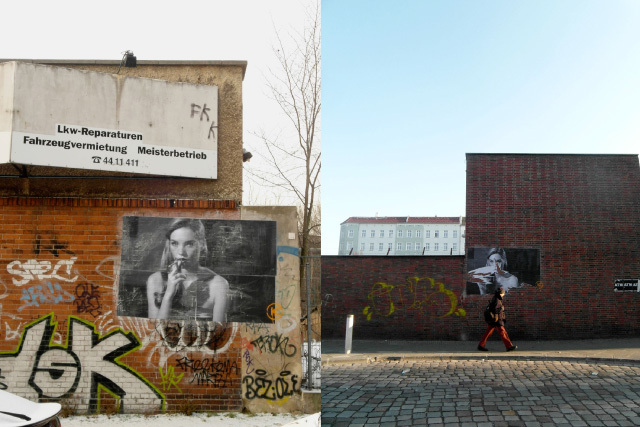 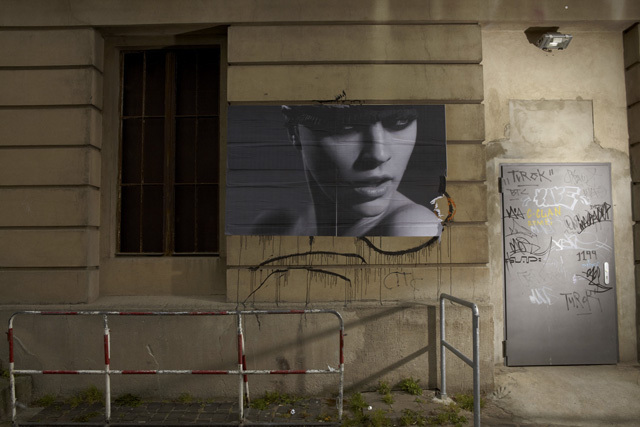 So it looks like what fashion photographer Florian Kolmer has been doing in the streets of Berlin is pretty new, at least to me. 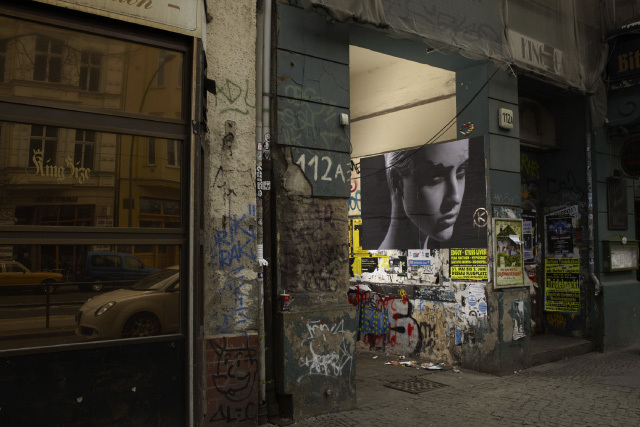 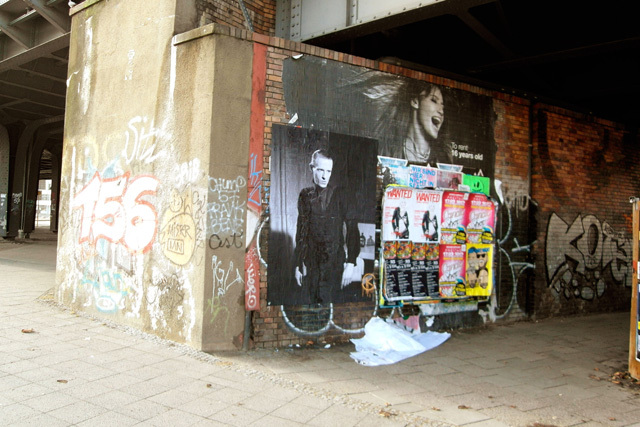 He’s created a very elegant series of black and white photos, printed them in large format and postered them onto the walls in public spaces, like next to the King Size bar or onto the Berghain. 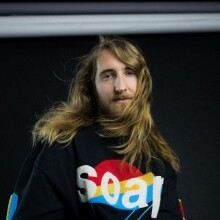 Enjoy the photo series of his work after the jump.